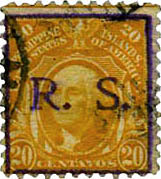 LEFT Lot 14 – Scott #17 – Mint (NG, HR). Vibrant colour and very generous margins. Beautiful looking stamp of this much sought after issue. Scarce. Scott Cat $650. Starting at $200. 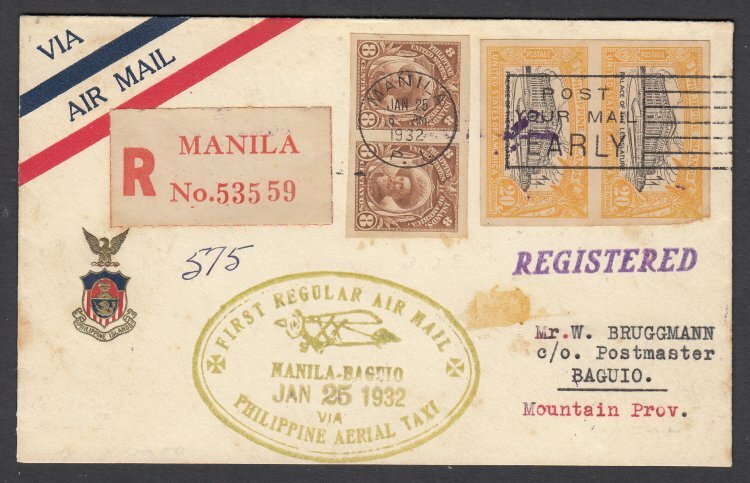 MIDDLE Lot 320 – 1932 Flight – First Regular Airmail cover from Manila to Baguio using Philippine Airmail Taxi. 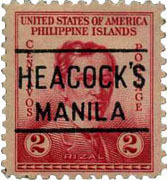 Stamps tied with 25 January 1932 slogan cancel. 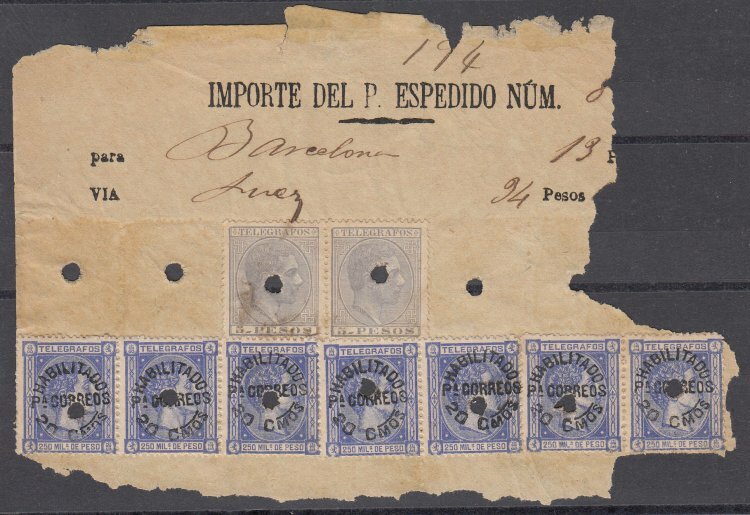 Affixed with imperf pairs (#323b and 343). 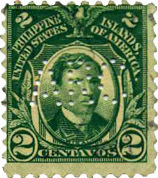 Green handstamp cachet on front. 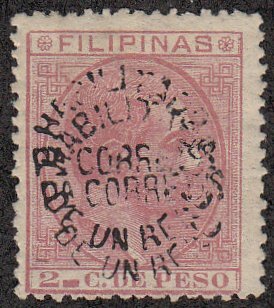 Registered boxed cancel on reverse (dated 24 January). Addressed to W. Bruggmann. 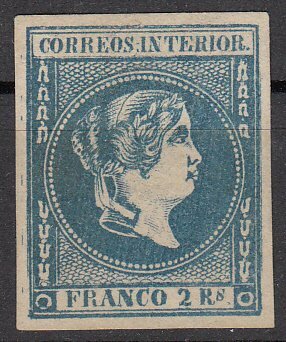 Minor toning otherwise a very attractive and scarce cover. Most likely unique usage. AAMC #70. Starting at $1000. 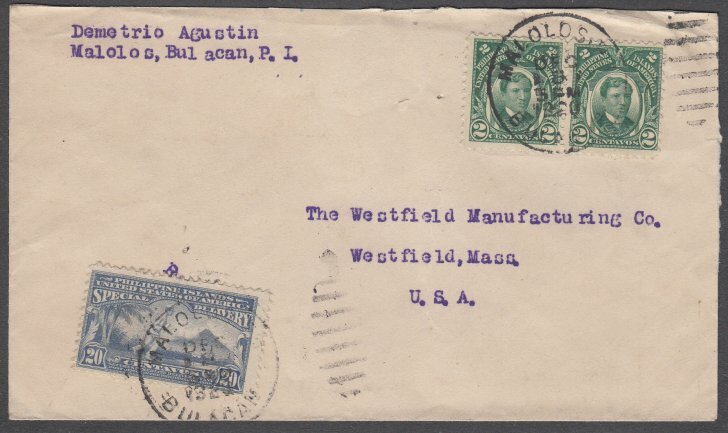 /span> RIGHT Lot 362 – Edifil #7 (x2), Scott #133 (x7) – Partial Telegraph Receipt with a few stamps tied and with punched hole cancels. 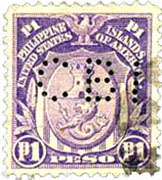 Two left stamps and right stamps on top removed. Highlight scarce usage of Scott 133 with Scott Cat $2,625 as used singles. With APS expertising certificate (No. 199342). Very scarce. Starting at $400. No lotting fees or commission on any sold lots is charged to the Seller. Sellers should provide complete lot description information and a minimum (Starting) bid when submitting material to the auctioneer. The auctioneer will attempt to accurately describe each lot but is not to be held responsible for errors and omissions. All unsold lots will be returned to the Sellers ten (10) days of the close of each auction, unless otherwise instructed. Material is to be received by the auctioneer no later than August 1st to ensure inclusion in the October annual auction. Send material with lot descriptions and recommended Starting Bids to Nigel Gooding (see address below). Payment for sold lots is sent approximately four (4) weeks after the auction close date. Bidding shall be in U.S. dollars. The minimum bid is the “Starting Bid”, and no bids below the Starting Bid will be accepted. Bidding shall only be accepted in whole dollar values (no cents), and any bids with cents will be rounded up to the nearest dollar. Bidding increments are as follows: $1 for bids up to $99; $5 for bids between $100 and $500; $20 for bids higher than $500. All lots will be sold to the highest bidder at ONE BIDDING INCREMENT OVER THE SECOND HIGHEST BID (the result referred to as the “Winning Bid”). In the event of a tie bid, the bid with the earliest postal date or email date shall be deemed the Winning Bid. The auctioneer’s decision shall be final. The auctioneer reserves the right to withdraw any lot. All Catalogue numbers are Scott unless otherwise noted. 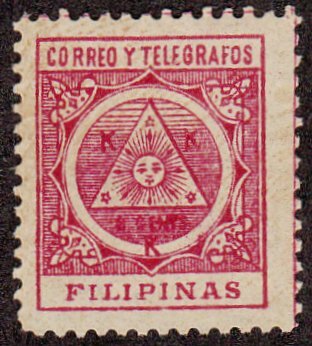 Other references include: “W” numbers are from Warren (1967) or Lehmann and Lueck (1993), as amended; and Spanish-Philippine forgery numbers, such as “21F1” are from Gooding (2006). Bids may be lodged using the online bidding form on the IPPS Auction website. Alternatively, bids can be submitted by regular mail or by email (nigelgooding@hotmail.com). Your name and address must be provided and readable to be accepted. A confirmation email will be sent for all email bids received. If no confirmation email has been received, the bidder is responsible for making contact with the auctioneer to confirm receipt of bids. No bids shall be accepted later than the closing date and time. Successful bidders will be invoiced for successful bids, plus a 10% buyers fee to IPPS and postage and handling with the following minimum charges: $1.50 in the UK; $3.00 across Europe; and $4.00 for USA and rest of world. UK - First Class or Signed For Service. Europe – Regular Airmail for orders under $100; International Registered for orders over $100. Optional Courier Service (DHL) may be used for orders over $500 for the purposes of insurance. 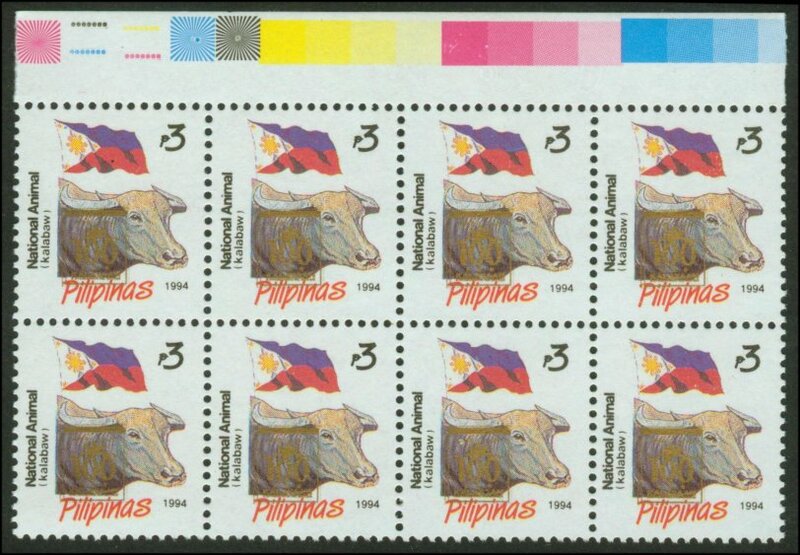 Philippines – All mail will be sent via International Registered Post. Where orders exceed $100, Courier Service may be used for purposes of insurance. USA and Rest of World – Regular Airmail for orders under $100; International Registered for orders over $100. Optional Courier Service may be used for orders over $500 for the purposes of insurance. 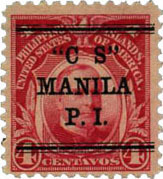 Postage will be charged at cost, converted from British Pounds (GBP) to US Dollars using the rate of exchange at the time of mailing. 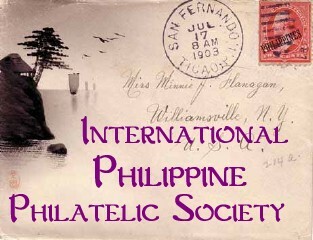 IPPS is not responsible for loss of postage unless sent by Registered Post or Courier Service. Payment is due within ten (10) days after receipt of invoice. The invoice will detail payment options which include: US dollar check, US dollar Money Order or Paypal (via the link on the IPPS Auction website to paypal@theipps.net). No cash payments accepted. Check and Money Order payments to be made out to the IPPS and mailed directly to Rick Miggins (IPPS Treasurer) located in the US. Each invoice will provide details payment options and instructions. Lots incorrectly described must be notified to the Auction Chairman within five (5) days of receipt, and on receipt of the lot(s) a refund will be provided. All other lots cannot be returned for any reason. The placing of a bid constitutes acceptance of the above terms. LEFT Lot #62: Y3 – Mint (Dry OG, Light HR). Generally well centred for this issue with fresh appearance. Good perfs. Seldom offered so fine. Scott Cat $150. Starting at $100, Unsold. 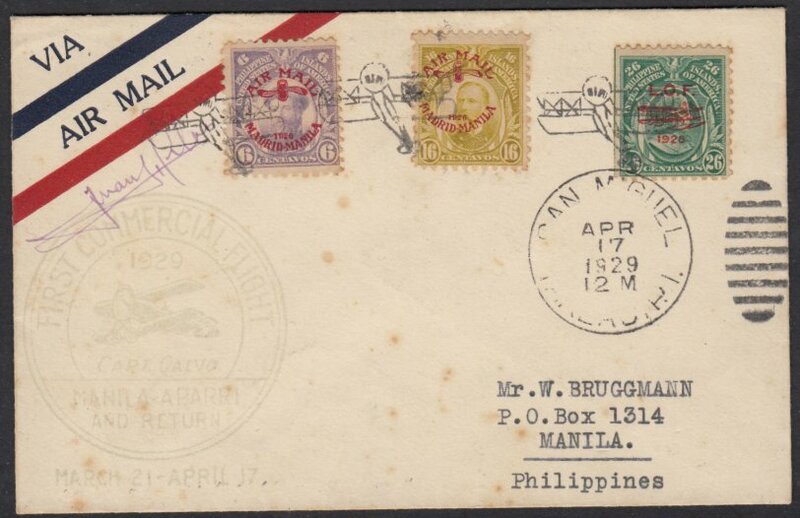 MIDDLE Lot #150: AAMC #37 – Manila to Aparri and Return. First Commercial Flight 1929. Signed by Captain Calvo. C3, C8 and C11 tied with Aeroplane cancel. Few tone spots and minor foxing around perfs. Only 25 covers flown and this being only the third cover known on cover with C8. Very scarce showpiece. Cat Value for C8 as used $5000. Starting at $2,000. Sold $2,620. 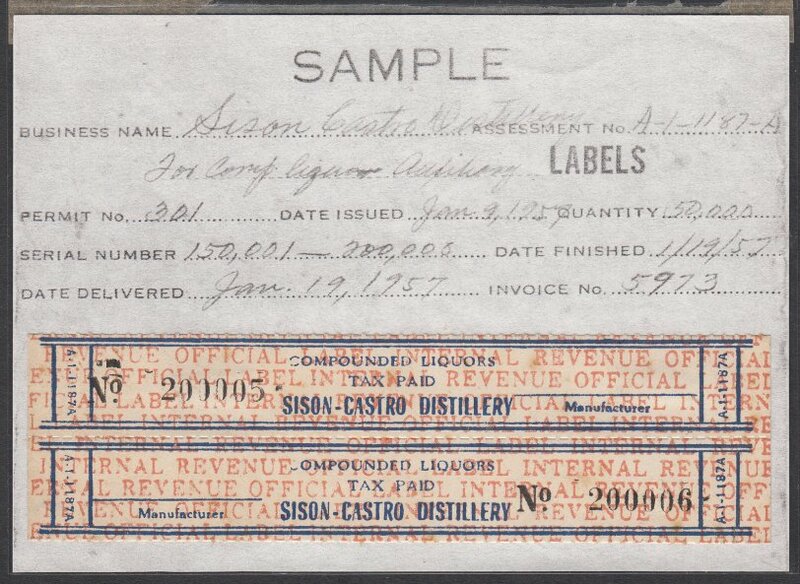 RIGHT Lot #320: Tax Paid Liquor Stamps – PRINTERS SAMPLE of the 1957 Auxiliary Labels. Scarce and very interesting item. Very fine condition. Starting at $100.00, Unsold.